There are so many voices in a school system, the average school leader struggles to hear them all. There are plenty of frequent flyers–those parents and community members who you’re going to hear from, no matter what. But engaging other voices in your school system, especially those who face language barriers, or who can’t attend school events or functions, can sometimes feels like a superhuman feat. In the latest installment of our series on school customer experience superheroes, we highlight the Fontana Unified School District in California for its ability to listen to and engage parents and other members of the school community. 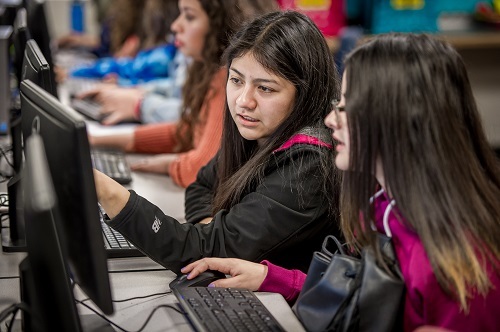 At Fontana USD, about 83 percent of students are socio-economically disadvantaged. Many students are English Language Learners. Given the sheer number of students and families with different needs, school leaders had a hard time ensuring people felt empowered to shared their feedback and speak up about the schools. Another challenge—and one that is often taken for granted: internet access. The district turned to Let’s Talk!, from K12 Insight, to open new lines of communication between its schools and homes. The cloud-based communications solution, lets parents, students, teachers, and others contact school district leaders through a special button on the district website, or via an app on their smartphones. Unlike email, every message filters into a universal inbox, where they’re immediately directed to the right person, or team of people, to collaborate on a timely response. On the backend, a real-time data dashboard provides district and school leaders with key insights about the quality of their engagements, such as average response time, customer service rating, and critical issues or themes—information that can be used to drive change across the district, while ensuring exceptional customer service. Let’s Talk! helps parents, students, teachers, and others contact school district leaders through a special button on the district website. Fontana USD piloted Let’s Talk! at the district level before rolling the technology out to leaders at its individual school sites. Administrators say the gradual rollout helped engage families, while ensuring that building administrators had time to build familiarity and comfort with the platform. The district created a calendar for phasing Let’s Talk! into schools based on feeder patterns and for supporting families and staff with trainings and resources. Administrators used free resources from the Let’s Talk! Learning Center, an online training hub offered by K12 Insight, to create an interactive training manual for team members. Since introducing Let’s Talk! into its schools, the district has seen an increase in engagement from all stakeholders, including parents. A fourth of all the district’s Let’s Talk! dialogues are now sent directly to school sites where families and others typically get a reply within hours. Want to hear more about how Let’s Talk! 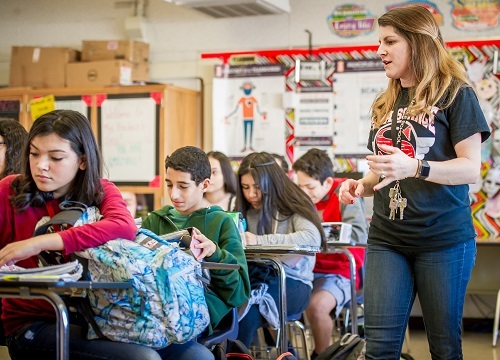 can help your district make lasting connections with students and families? Sign up for a free consult. 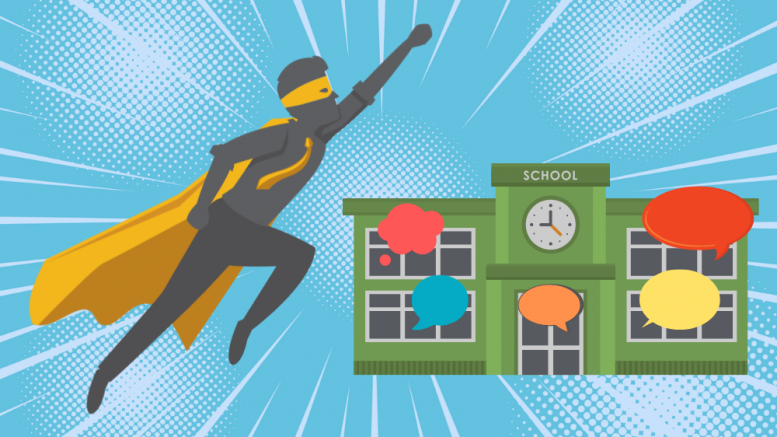 Be the first to comment on "Superhero spotlight: How to hear every voice in your schools"